"Etiquette books talk about how to be a perfect guest. 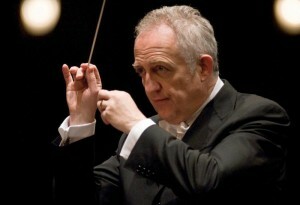 But Bramwell Tovey could write one on how to be the perfect guest conductor. He isn't afraid to program crowd pleasers, but does them on a level that has won him a Grammy Award. And when Tovey conducts lighter works, they don't seem so light. The problem with being such a perfect guest is that when it's time for him to move on, to go back to his home orchestra in in Vancouver, you don't want him to leave." Press Related Link below for full story and podcast.